The half-life of uranium 235 SAMPLE --> Sam Hengel | Herb Zinser - the Symbolic Army of nouns, math equations, chemistry molecules. In Europe, the physical tragedy on the island of UTOEYA paralleled the mathematical-physics island of symbols, equations and, concepts ...... thus UTOEYA <---> UTOE = Unified Theory of Everything. Thus the INTELLECTUAL battles in Europe and the United States get transformed into a parallel physical battle .... a violent event. Thus we see a relationship between symbolic life and symbolic wars -----> biology life and physical wars. This CAUSE and EFFECT process has existed for a long time, and explains some situations. Let's look at the half-life of BOY SCOUT Sam Hengel and his interactions experiences with the periodic atomic table of life ..... which is overseen by Wisconsin universities and the Office of Science. The tragic event DISPLAY illustrates 2 major concepts ...that have penetrated the atomic social science psyche. Let's look at signal 23, half-life, and the 23 decay chain as DISPLAYED on the geography surface of Earth ..... EARTH the living atomic cell. The periodic atomic table of elements of life is like a main frame system 370 computer. It is the HOST and other entities are subsets relative to the HOST frame of reference. As atomic, biophysics humanoids .... we are subsets living within Nature's vast atomic existential continuum ...the atomic HOST and humans are like guests living within the 11-dimensions of applied string theory. Feb 21, 2008 – IBM S/370 and ESA/390 ... Business Machines System/370 and Extended System Architecture/390 mainframe hardware which runs under ... Some of the material is hosted elsewhere and I simply provide a link to the host site. Let's look at modern atomic social anthropology SECRETS of the United States .... and Nature's modern signal processing methods. 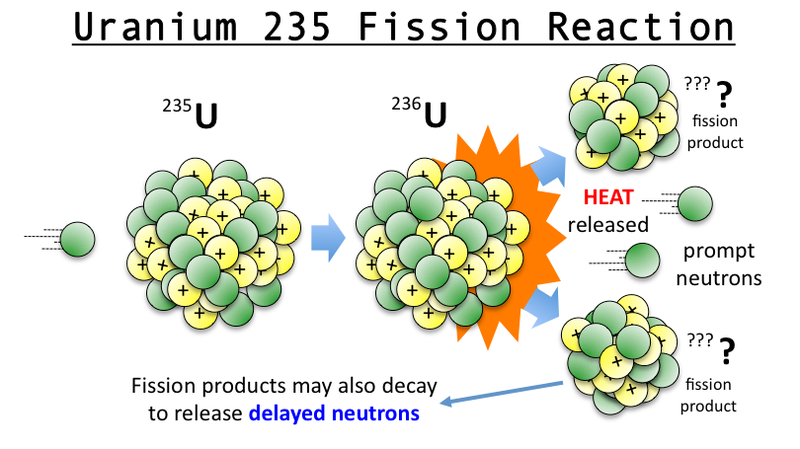 Detailed decay information for the isotope Uranium235 including decay chains and daughter products. Let's look at the citizen/government approved SCIENCE experiment in using Margaret Mead atomic nuclear family concepts. the sample --> 6 alphabet letters of the living language --> WORD with 6 letters .... sample = sam + ple. Sample = 3 letters + 3 letters = sam + ple. For Darwinian optimization of signal recognition .....we have the selection assignment between symbols and physical biology REALITY. Thus we have Nature's sample space in puppet string theory with the Marionette puppet theater performance in Marinette, Wisconsin. Thus the half-life of the WORD---> SAMPLE --> 1/2 of word SAMPLE --> SAM ...... thus Uncle SAM and the government approved experiments found SAM Hengel an ideal specimen ...for 23 hostages 5 hours (atomic host platform ... the deeper underlying levels of REALITY ). Thus the Darwinian atomic selection of atomic humanoid expressors ...that is OS = Origin of Species WAR with the OS = Office of Science. Click on Calculate Time or Calculate Half-time or Calculate Beginning Amount or Calculate Ending ... The Half Life of Uranium-235 is 713,000,000 years. several isotopes: primarily uranium-238, uranium-235, and a very small amount of ... emitting an alpha particle. uranium-235, and a very small amount of ... emitting an alpha particle. The atomic mass 235 ...mass communications signal ....... the the atomic ENGLISH alphabet newspaper particle of information about modern atomic society. For the scientists .....mass communications (television, radio, print) is really atomic mass communications. ... Samuel had held a teacher and 23 students hostage for five hours. The message projector ........ from the periodic atomic table LEVEL of existence. as actors in the atomic thought and atomic behavior performance. Let's look at the 23 chain of events ....... the decay chain. The decay of Milwaukee and its universities, corporations, and citizens. Signal 23 with atomic anthropology police --> Byran Norberg and Kunish. The alphabet symbol S --> graphic arts equivalence to number 5. 2nd + 3rd ST --> subset symbols 2 3 S --> substitute equivalent --> 235 signal. Below, we have the geography area STREET SIGNAL 23 ..... related to the Norberg geography STREET signal 23. Thus we have the University of Wisconsin , Milwaukee involved as an atomic material witness in the Margaret Mead atomic anthropology DEMO ...with the range of atomic message code 2339 --> the range from 233 to 239 of social isotopes(t) problems in Milwaukee society. Uranium-239 is an isotope of uranium. a CAUSE --> EFFECT ......the next event in the decay chain of intellectual society. Thus we see these inter-related situations provide EARTH LAB empirical data for theorist ... that atomic humanoids are included in the Department of Energy oversight of atomic entities. The Department of Energy under orders from the citizen/federal government has looked the other way ... ... at atomic humanoid violations of the SOCIAL CONTRACT with Nature ....as suggested long ago by Plato, John Locke, etc. Various concept tools are important. TOE --> Time Order Entry with the H.G.WElls TIME Machine ..... Nature's the TIME COMPUTER project from year 1900 to the 2000 TIME boundary ... .. giving the TOE = Theory of Everything. Super-symmetry physics and mirrors and parallelism ...provide additional ideas ..... that help us understand signal 23 --> 235 ...a message to the social science world.